It’s 47 F in Los Angeles today! 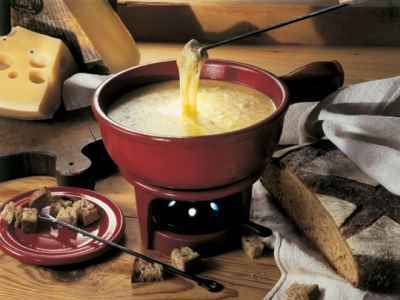 I’d say it’s time to take out the fondue pot and the Raclette! These dishes are traditional French winter dishes … my kind of comfort food! Usually these cheesy dishes are typically enjoyed after a day skiing using lots of energy. It’s a good occasion to invite good friends & family over and celebrate the French convivial way! 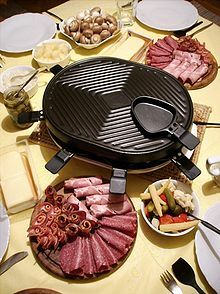 My next favorite dish is La Raclette from Switzerland and France. 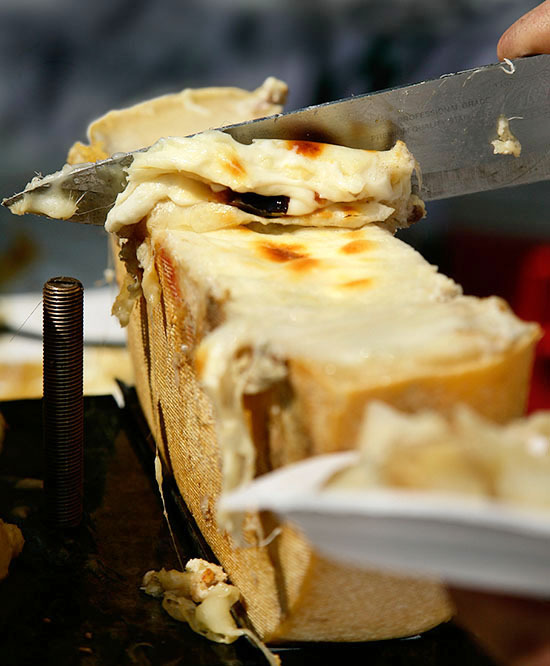 Raclette is raw cow’s milk cheese with an uncooked pressed pâte. The original raclette is best directly served from the wheel of cheese that melts and drips onto your potatoes, ham, deli meats or viande des Grisons etc… but you can also use the cute little raclette sets. 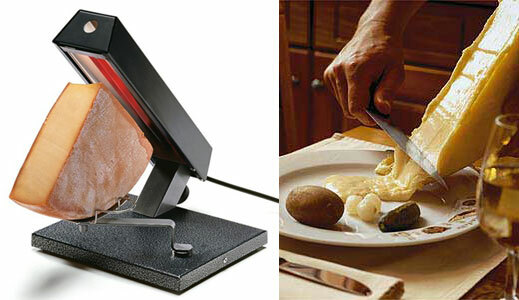 Raclette comes from the French verb “racler” which means to scrape. Each guest gets his own little pan to create their own dish by combining ingredients and raclette cheese! 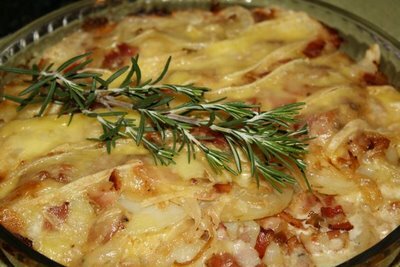 Tartiflette from haute Savoie is a quick rich casserole gratin dish made with your left-over potatoes, lardons (bacon) and Roblochon cheese which is a lot more pungent than the other cheeses. With all these cheese dishes, use a chilled light dry white wine. Enjoy and Bon Appétit! 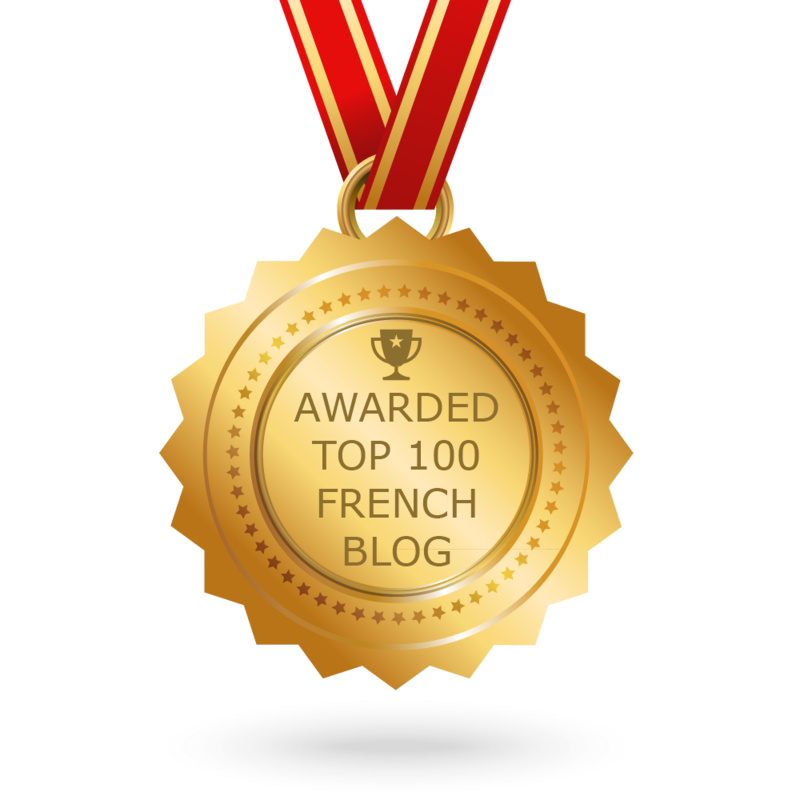 Previous Previous post: Golden Globes 2013: A Very Good Year for French Films! Next Next post: L.A Restaurant Week with a French Twist!